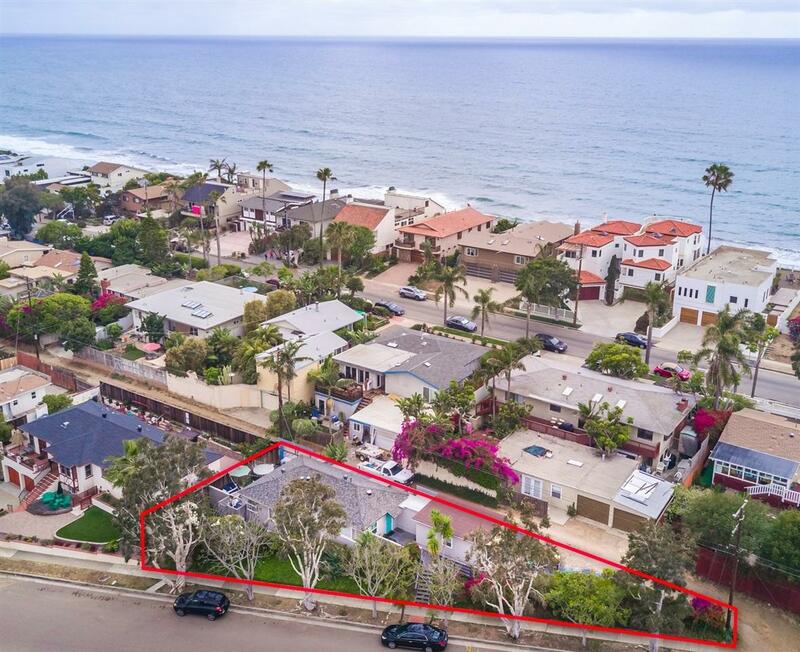 Your charming single level Leucadia beach house awaits! Privately perched above street level, this ideal location is West of the 101 and just one block to Stone Steps beach access. Freshly updated with tons of natural light. The Kitchen features recessed lighting, stainless steel appliances, white granite counters and subway tile backsplash. The 3rd bedroom is a detached finished bonus room featuring a private patio and Bali style outdoor shower. Lush landscaping w/ private backyard, spa & outdoor shower. Ideal primary, 2nd or investment home! This 2 Bedroom, 1 Bath Leucadia home offers a beautifully finished garage conversion that serves as a Bonus room complete with a Bali style outdoor shower and private patio. This phenomenal and functional space features a roll up glass/metal door to create indoor/outdoor living, wood floors and tons of light. Use it as a master retreat, game room, or detached casita... you choose!